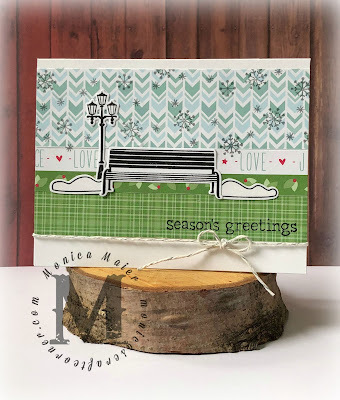 Here is my card for the Holiday Challenge over at Addicted to Stamps and More! I was happy to pull out an older Lawn Fawn set and pattern papers to create a scene. Thanks for stopping by! I hope you play stop by the blog and play along, can't wait to see what you create to with the theme! Today I'm posting over at the Joy Clair blog! 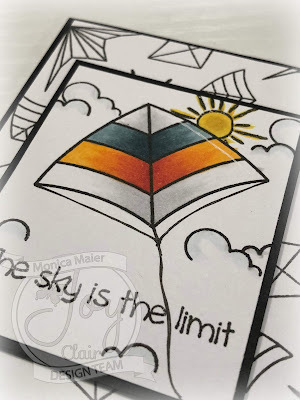 Using the new set Sky's the Limit with some inks from Imagine crafts. 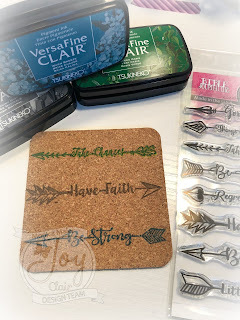 I decided to share a image of my attempt to stamp on a cork coaster, using VersaFine Clair inks from Imagine Crafts. So far so good, I need to see how it stands up with a sweaty glass on it, but I like the way it looks and the ink stamped well on the cork! Thanks for stopping by, please leave a comment or follow me for blog updates! Don't forget to stop by the Joy Clair blog for details! Have a great day!!! 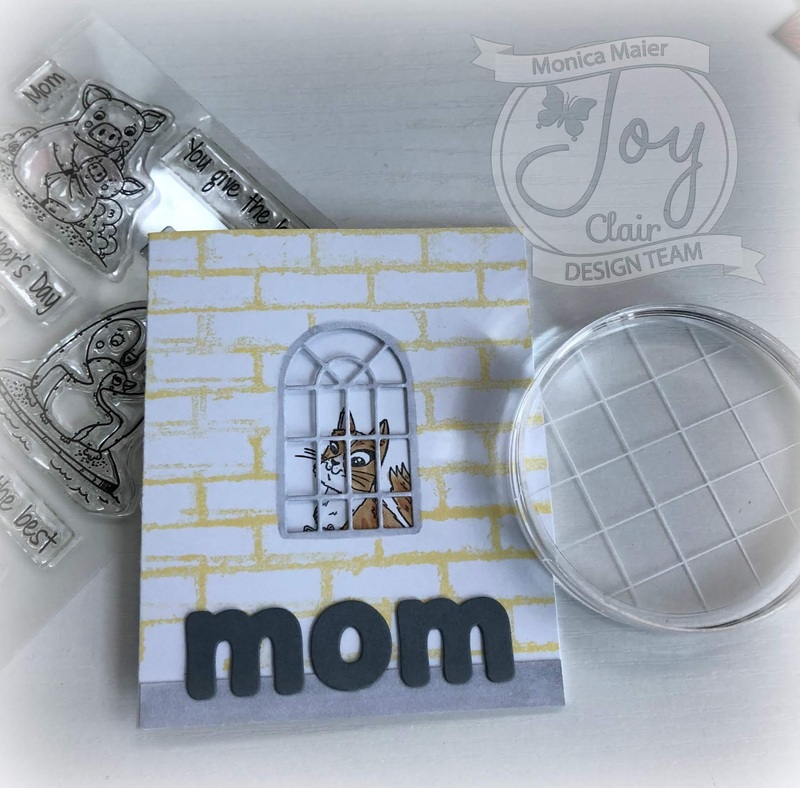 Today I've got a card up on the Joy Clair blog featuring two of the new sets, Mother's Day Love and Broken Brick background. 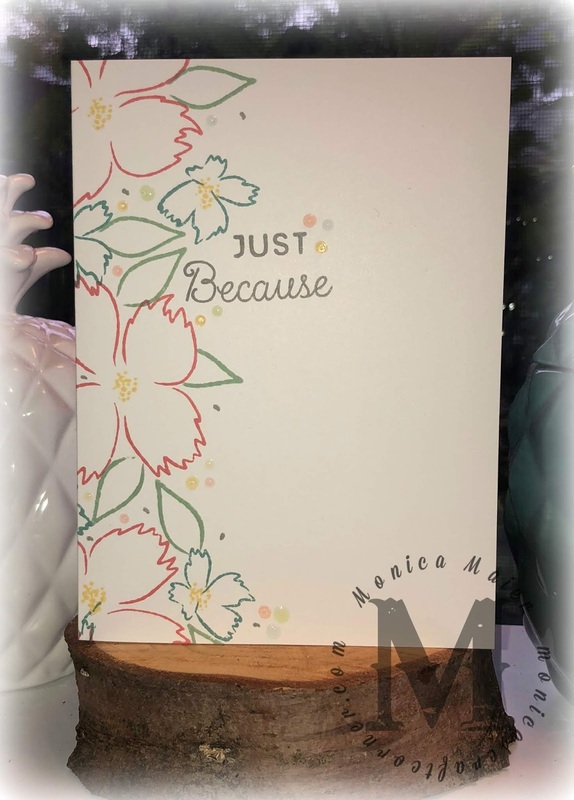 Visit the blog for details on the card. Supplies are listed below. 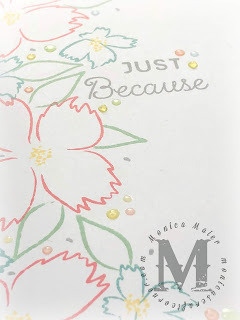 Today I'm sharing a post for Joy Clair's June challenge. I love the patriotic feel of the inspiration photo. 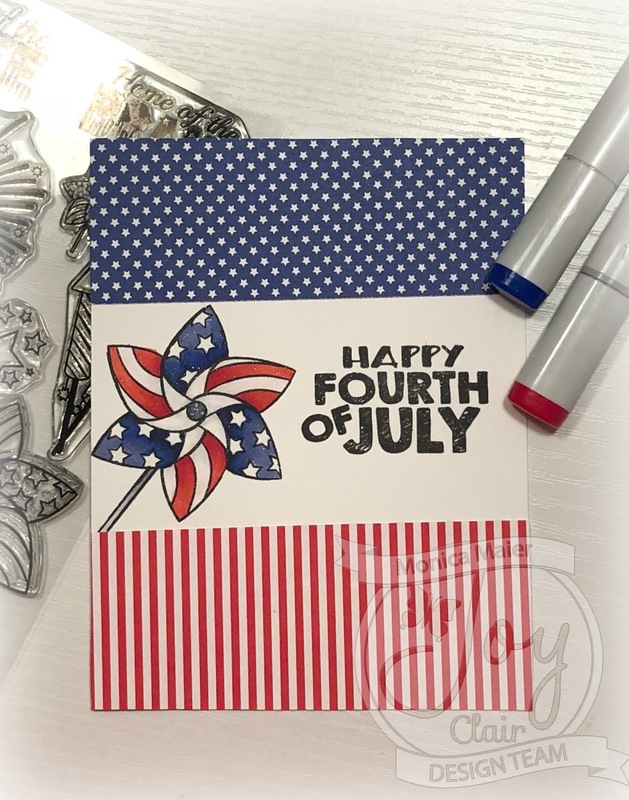 So went with a very summery, patriotic theme on two cards. 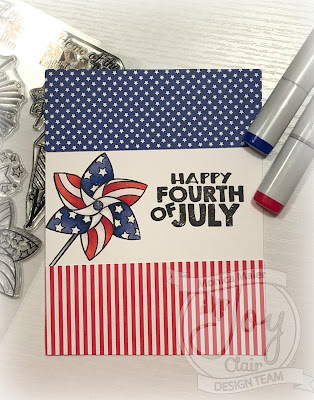 The first one is a card for the 4th of July. 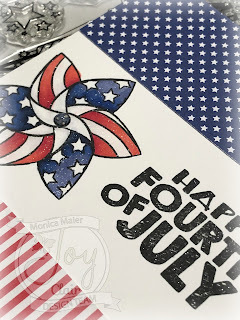 I jumped on the chance to Joy Clair's Happy Fourth set, I just love the pinwheel and fireworks. 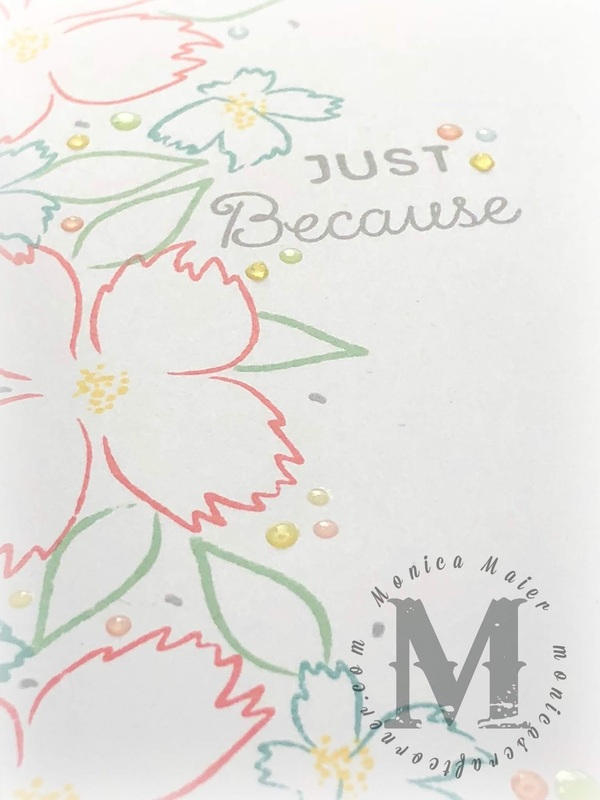 I started by stamping the image and sentiment, then placed some pattern paper above and below my stamped area. Then I colored the pinwheel in coordinating copic colors. Then added some Wink of Stella for a little sparkle! 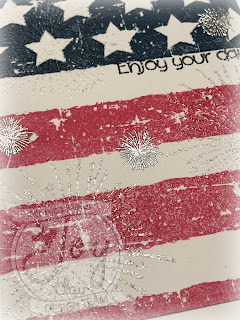 For my second card I also used the Grungy Flag background, as well as the fireworks from Happy Fourth. 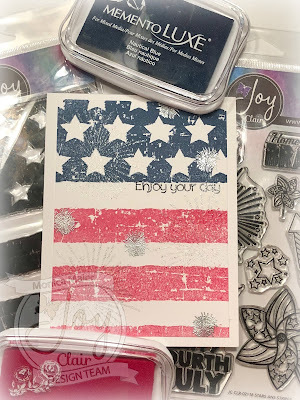 I just love the look of this flag stamp. I inked the star part of the back ground stamp with blue and the stripes in red and stamped the image. I had to set it aside for awhile since I used a pigment ink. Once the ink was dry I stamp the large fireworks and embossed them with a glitter embossing powder. Then I used silver embossing powder for the little fireworks. 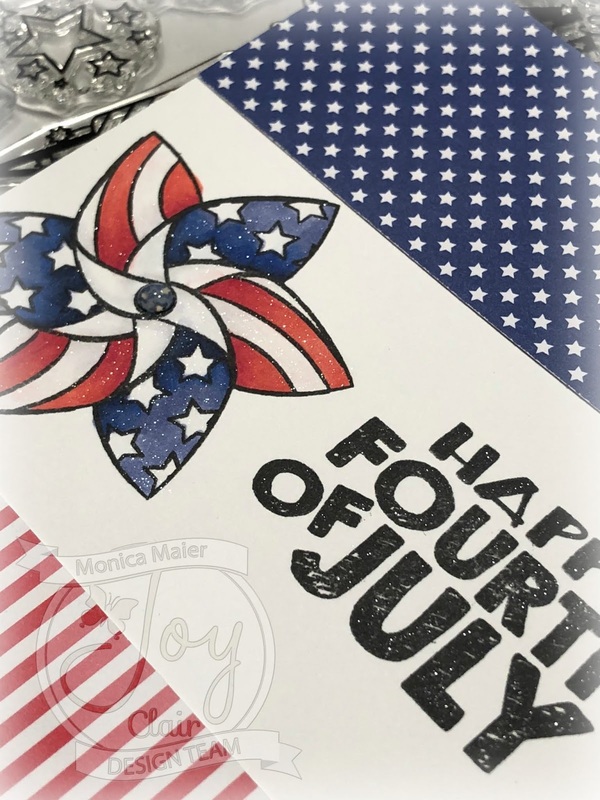 I made this card for my dad's birthday (he loves anything patriotic and he was born on Memorial Day), so I used the Enjoy your day sentiment from the new Joy Clair set Life's a Breeze.